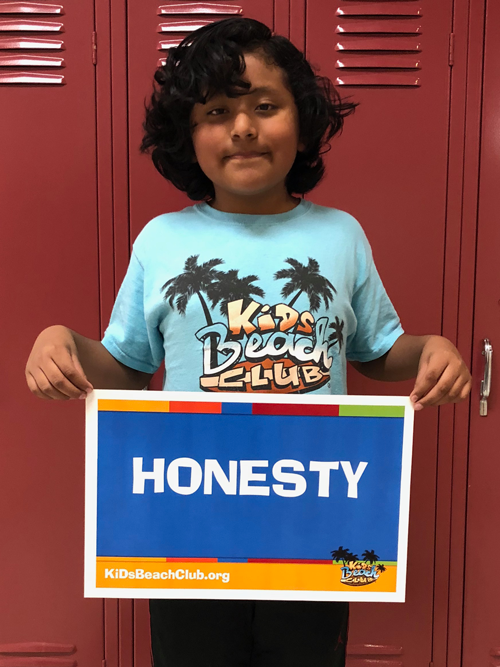 Character education also one of the major focuses of KiDs Beach Club®, which is committed to connecting kids to Christ and putting Bibles in their hands, knowing that all character is defined through the person of Jesus Christ. 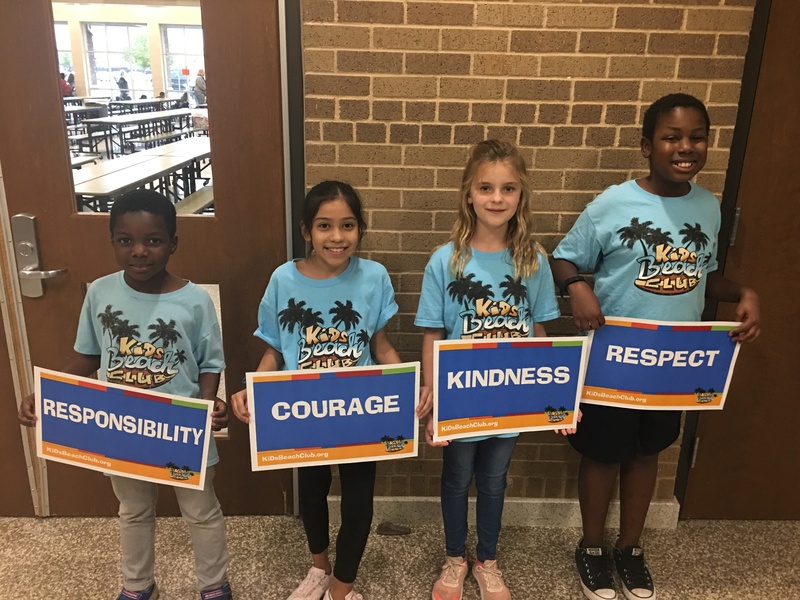 For each of the 24 weeks of Beach Club throughout the school year, our curriculum features a different character word. Within the hour-long, after-school club, that word is defined, in context, from a story in God’s word, which also produces our weekly memory verse. Both are creatively taught by some of our nearly 2,400 amazing volunteers nationwide. 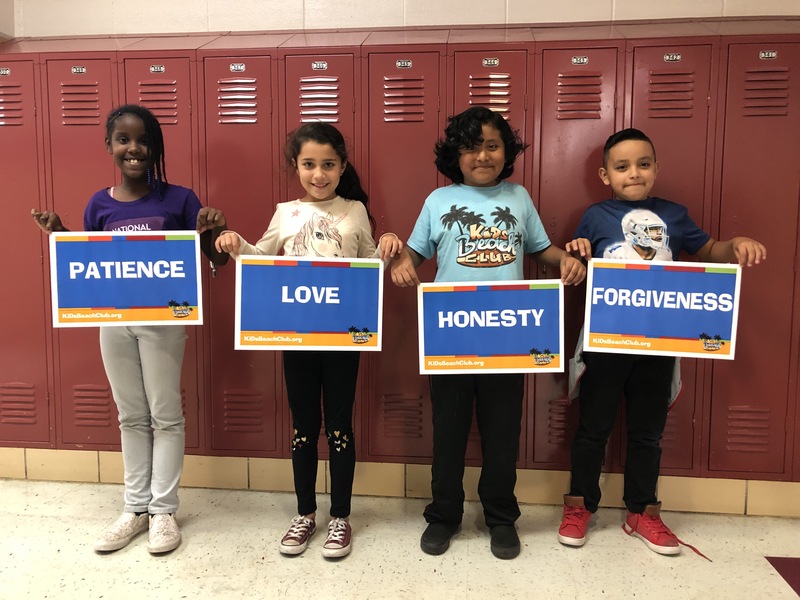 That character trait is also emphasized during small group Surf Team time as well as during the Make-It- Stick review game. By the time a child leaves Beach Club, they will have learned about that week’s character word at least six different ways. Character education is one of the main factors elementary school principals love having Beach Clubs in their schools. 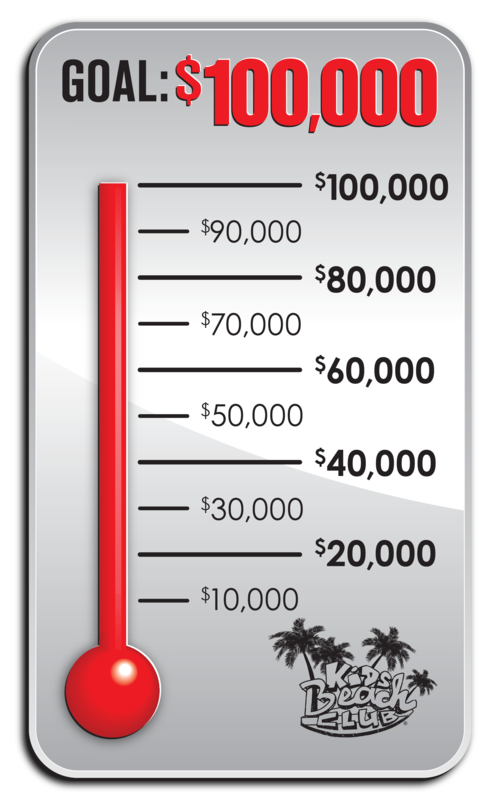 Your continued support as our faithful donors and partners is making a difference in the lives of nearly 100,000 children who have been impacted by KiDs Beach Club® since this ministry started in 2003. Your prayer support has resulted in more than 8,500 kids asking Jesus to be their Lord, Savior and Forever Friend inside public schools. Your financial support has provided the funds to purchase nearly 60,000 Study Bibles for these children, so they can learn the character traits directly from scripture. It also has helped us continue to expand the influence into our 11th state, Arkansas, as we approach 200 Beach Clubs throughout the United States. 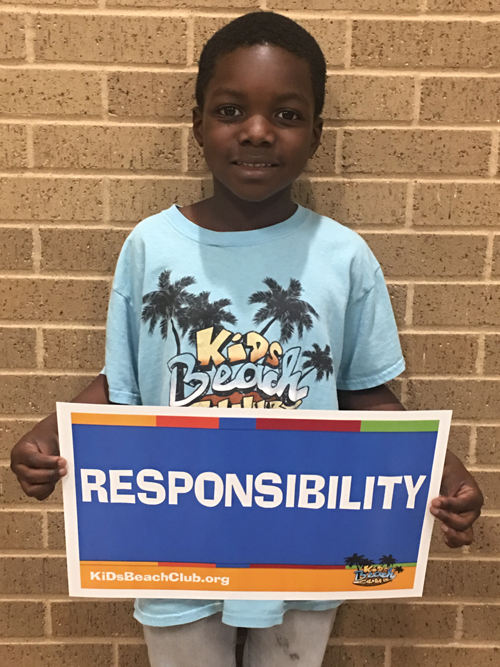 As you pray about which ministries fit your giving strategy for this year end and next, we request that you ask the Lord if KiDs Beach Club® is one of those. The year-end charitable giving season began with Giving Tuesday November 27 and continues through December 31. We all know that Jesus is the power behind all of the transformation going on in our Beach Club schools. We are blessed to be the ministry He is using as the conduit to reach kids in public schools and we rejoice that you are part of our amazing team Making Jesus Cool at School! To make an online contribution simply select a category and place the amount in the box below. One-time and recurring options available. To set up a Recurring Contribution simply select from the frequency options below. For In Memory/Honor Of gifts, please include the name of who you are honoring in the comment box. If you would like a card sent on your behalf please include the mailing information. Click the submit button and continue following the steps. KiDs Beach Club® is a non-profit 501(c)(3) charitable organization. All contributions are tax deductible as allowable by the IRS. You are a blessing!